I've often read and heard that there will be no more tears in heaven. Eric Clapton wrote a famous song about it, after his son's tragic death. It seems like a good thing, only being happy and positive, never being upset or worried about anything anymore, and never breaking down emotionally. Some people may be getting a "head start" on heaven though. It's a known fact that people in our modern era experience more stress, worry and regret, and practice holding in their deepest feelings without experiencing any healthy outlet for emotional release. This kind of lifestyle can not only make a person heavily depressed, but also physically sick over a period of time. Sometimes I just sit and wonder, "When was the last time that I actually cried?" Weird question to ponder, huh? But more often than not, I cannot even remember the last time that I cried my eyes out over some situation or experience. Some people say that grown men don't (or shouldn't) cry. I personally do not buy into that philosophy. While excessive tears, like anything, can be imbalanced, I just read online that crying is actually a very healthy thing. It can relieve and release stress, uplift your emotional mood, and also cause great physical results : detoxification and physical health. I don't see many people recommending that their friends and colleagues have a "good cry" once in a while, but it actually is a good therapy for achieving a happy and healthy life. 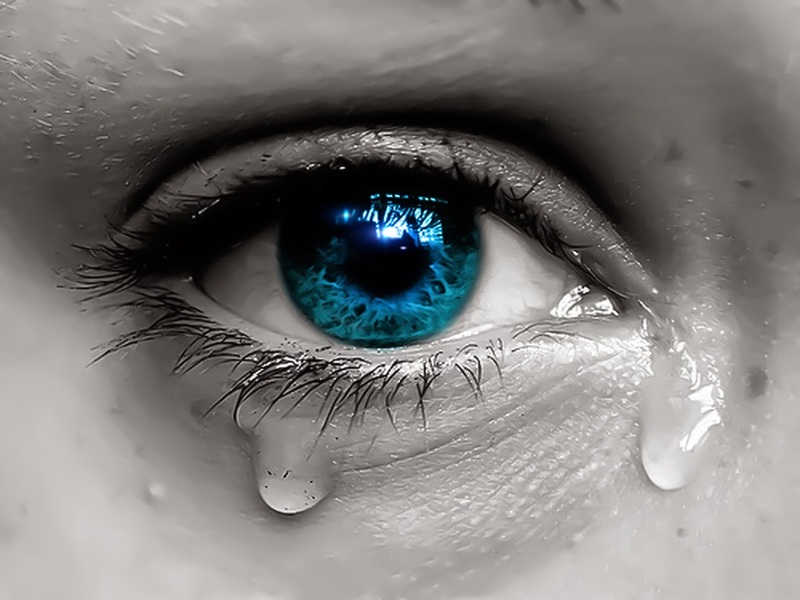 I believe one reason that I wrote this particular post about crying is because I've felt an inner buildup of emotions lately that may well culminate at some point in a burst of tears. I'm not trying to bring it on, I just feel it coming. And I'm not afraid of it. It will probably do my heart good. It will probably be accompanied by some form of praying, or deep thoughts, and may just be "the thing that the doctor ordered." So-- may the rivers flow-- let it all out.